VIRGINIA BEACH, VA – Tuesday was moving day for 25 single men and women who had been residents in JCOC’s singles shelter at the main campus! 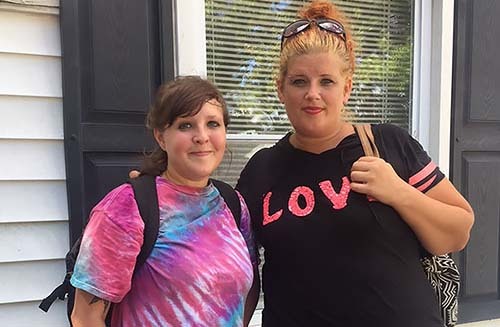 A mix of anticipation, excitement and nervousness filled the air as individuals purged unnecessary items, packed their small bags, and got into a van bound for the Housing Resource Center (HRC) in Virginia Beach. Many had not seen the brand new Singles Shelter. But rest assured, they were to see familiar faces as JCOC Housing Support Specialists continue serving them as we are on site 24 hours, every day of the year. Only ten residents remain on JCOC’s shelter on the main campus. Having been staying here for more than 45 days, they are? well on their way to finding permanent housing with the assistance of our case manager. The men’s and women’s dorms should be empty by November of this year, making way for exciting new things to take place on campus! On Monday the JCOC team had also opened up the Day Support Center at the HRC. They served several dozen unsheltered? people that aren’t currently housed in the Singles Shelter. 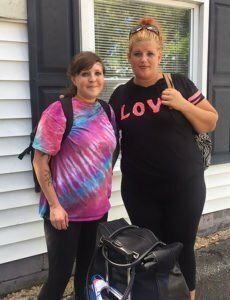 Our Housing Support Specialists counted it a full but good start to something that will help those in need find permanent housing. Unsheltered adults (ages 18 and older) in need of showers, laundry facilities, mail services, and housing support can come to the Day Support Center, Monday through Friday, from 7 a.m. to 3 p.m. For information, call 757-385-5160. JCOC is a part of the Regional Housing Crisis Hotline. Families and individuals who are homeless or in imminent danger of losing their home should first call 757-227-5932. Individuals are asked a series of questions by a specialist. Depending on the situation, referrals may be made to Virginia Beach Housing and Neighborhood Preservation for further assessment. The most vulnerable homeless families and individuals will be sheltered and housed at the Housing Resource Center or at nonprofit facilities in the community as space is available. good morning I don’t have a phone and i’m trying to get into your shelter. I am a single woman and I need your help.